Corpus is Re-Opening with new Poses!!! Diconay Boa, owner and designer of Corpus is back!!! She reopened her store! I really missed Corpus on the grid, as it is one of my absolute favourite pose stores on the grid for runway and photography poses. Corpus has fresh poses with unusual highlights. Diconay made runway and gown poses with wonderful transitions and as well she has her editorial poses, which I really fell in love with over quite some time. Those editorial poses you can snap from so many different angles and always get a new mood, another vibe and some very powerful pictures. To see all of her amazing poses just visit the new Corpus Mainstore (http://maps.secondlife.com/secondlife/Furness/77/52/3133) and try! A few days ago I got a wonderful gift from Morgane Bastista, owner and designer of the Morgane Batista Pose Shop. 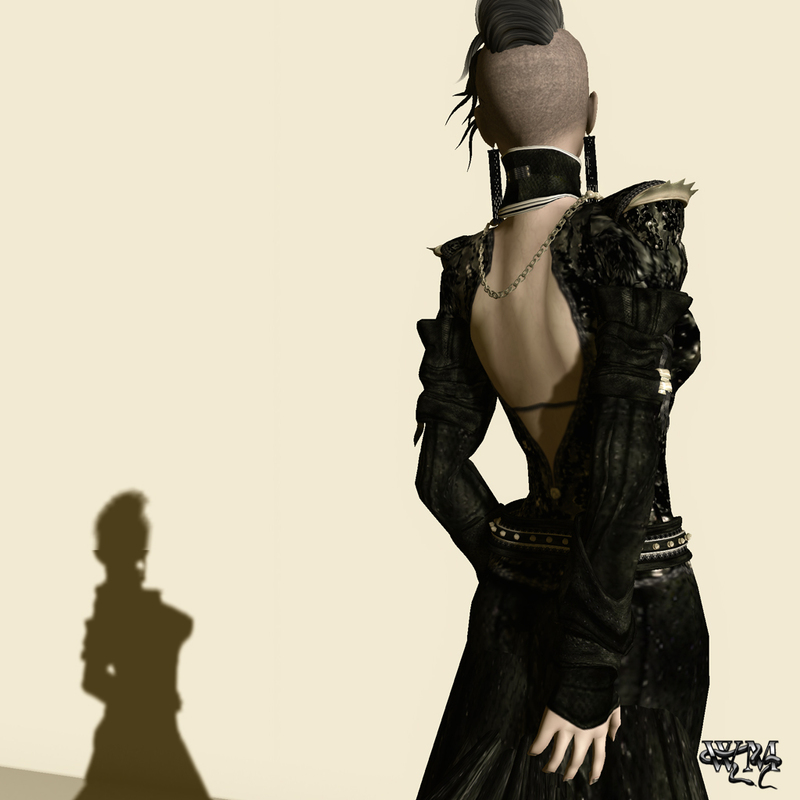 She made it possible – sent the “Urban Reality Gown ” from The White Armory my way and I was totally surprised what I got… such a great ready-to-wear outfit wich so many details!!! Design and one of the new hair attachments made by LoQ. As Morgane does such great poses we decided to use hers only for that post :), so all poses used in this post are from Morgane Bastista Pose Shop.